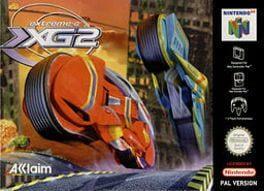 Extreme-G is a futuristic racing game with an emphasis on speed. It also features many weapons and an F-Zero style energy shield and regeneration. You are able to break the sound barrier where you hear a sonic boom and all game audio drops out. We currently don't have any prices for Extreme-G 2. Check back later.